Being a child care director is both a challenging and exceptionally rewarding job. The nuances of combining physical care and education in a nurturing environment requires a special person, because there is so much to do. More than providing high quality care for each child, building curriculum and working together with parents to ensure development, you are also running a business. This means taking care of time consuming administrative tasks to ensure the continued success of your center, such as collecting tuition, calculating payroll, managing supplies, and more. Of course, there are also state licensing requirements that must be addressed to ensure your child care business complies with legal standards. These include attendance and meal tracking, monitoring employee training and certifications, and assuring that proper teacher-student ratios are met. 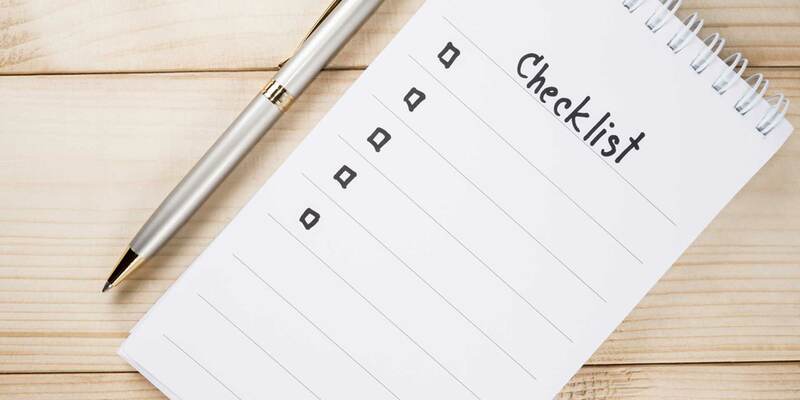 Here we have created a mini-checklist to guide you through the many management tasks in your center, as well as solutions to help streamline the process. While receiving just one payment might seem like a small thing, accepting the check, writing a receipt and recording it in a ledger or spreadsheet can be a 5 minute task. Easy, right? If you have 60 families and you’re handing payments this way twice a month, you could be spending up to 10 hours on managing payments alone. That is once you have tracked each payment down. Parents are busy and can often forget when their next payment is due, leaving child care providers to track them down at check-in time or the end of the day. Procare’s Tuition Express® gives you easy options to process all payments at once or let parents pay at check-in and online. Since it’s fully integrated with Procare, each payment is automatically posted to the the family’s ledger. Juggling teachers, aides and children between rooms is an all-day, everyday chore. If one teacher goes on a break, you could go over your limit. In addition to licensing requirements for each age group that dictate a certain number of staff members must be present per child, ratios can also affect your finances. Having too many teachers staffed on a day when there are fewer students means you are spending money unnecessarily. That is why an accurate view of how many children are in your care on a daily basis is necessary. Procare’s dashboard offers you at-a-glance classroom counts and shows any that may be understaffed. You know the drill—climbing a mountain of paperwork each month to compile your meal reports. If you’re participating in the CACFP and you’re not using Procare’s Meal Tracker to handle meal counts and help with reporting, you’re working too hard. Weekly and monthly financial tracking by itself, is a full-time job. If you don’t have a bookkeeper on staff, you know that tracking, reporting, and reconciling takes time. Procare’s Expenses and Ledger module handles these tasks and more… tracking expenses, generating overall financial reports, and helping you manage your budget all year long. Child care management is a dynamic job that requires interpersonal skills as well as business acumen. With this checklist, child care professionals can ensure they are maintaining their business, while saving time. Learn how Procare helps child care providers complete administrative tasks everyday. Whether you are an entrepreneur who has a passion for childcare that strives to gain the necessary expertise, or a trained professional with years of experience already under your belt, opening a daycare center will present challenges. I have been using ProCare for 3 years, and am extremely happy with all aspects of the program! The accounting system is wonderful, and so easy to use.